We investigated the interaction between periostin SNPs and the SNPs of the genes assumed to modulate serum periostin levels and bone microstructure in a cohort of postmenopausal women. We identified an interaction between LRP5 SNP rs648438 and periostin SNP rs9547970 on serum periostin levels and on radial cortical porosity. 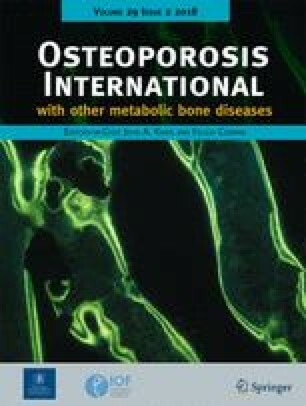 The purpose of this study is to investigate the interaction between periostin gene polymorphisms (SNPs) and other genes potentially responsible for modulating serum periostin levels and bone microstructure in a cohort of postmenopausal women. In 648 postmenopausal women from the Geneva Retirees Cohort, we analyzed 6 periostin SNPs and another 149 SNPs in 14 genes, namely BMP2, CTNNB1, ESR1, ESR2, LRP5, LRP6, PTH, SPTBN1, SOST, TGFb1, TNFRSF11A, TNFSF11, TNFRSF11B and WNT16. Volumetric BMD and bone microstructure were measured by high-resolution peripheral quantitative computed tomography at the distal radius and tibia. Serum periostin levels were associated with radial cortical porosity, including after adjustment for age, BMI, and years since menopause (p = 0.036). Sixteen SNPs in the ESR1, LRP5, TNFRSF11A, SOST, SPTBN1, TNFRSF11B and TNFSF11 genes were associated with serum periostin levels (p range 0.03–0.001) whereas 26 SNPs in 9 genes were associated with cortical porosity at the radius and/or at the tibia. WNT 16 was the gene with the highest number of SNPs associated with both trabecular and cortical microstructure. The periostin SNP rs9547970 was also associated with cortical porosity (p = 0.04). In particular, SNPs in LRP5, ESR1 and near the TNFRSF11A gene were associated with both cortical porosity and serum periostin levels. Eventually, we identified an interaction between LRP5 SNP rs648438 and periostin SNP rs9547970 on serum periostin levels (interaction p = 0.01) and on radial cortical porosity (interaction p = 0.005). These results suggest that periostin expression is genetically modulated, particularly by polymorphisms in the Wnt pathway, and is thereby implicated in the genetic variation of bone microstructure. The online version of this article ( https://doi.org/10.1007/s00198-017-4272-0) contains supplementary material, which is available to authorized users. 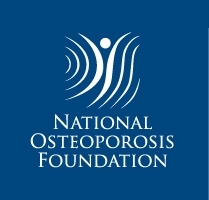 This study was supported by the Swiss National Foundation grant to SLF, the Geneva University Hospitals and Faculty of Medicine Clinical Research Center and the Foundation for Research on Aging AETAS.